Director Lucio Fulci performs double duty by sharing time behind the lens as well as in front for his first starring role. He portrays a director who begins having psychotic delusions and hallucinations after a day on the set shooting his latest horror film. As the horrific visions begin to hinder his psyche, he seeks counsel with his psychiatrist who might have the director's best interests in mind. 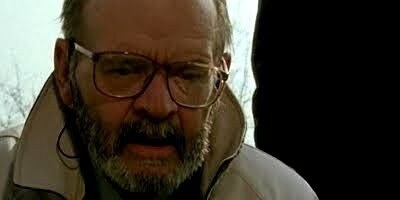 The concept of having Fulci play a man losing grips with his sanity looks like it can't miss on paper. However, the result is poorly executed and not as great as it should have been. Fulci was in the twilight of his career as evident with this film, but his effort here is definitely not his worst. One major detractor to the film's potential is that a majority of the main gore scenes are clips from his previous films. While a Fulci résumé reel is a wonderful sight to behold, using those scenes in this type of medium ultimately forces the new material into the background and hurts the overall story. A major positive is Fulci's performance, which is surprisingly effective for this film, but not strong enough to save it. Recommended to Fulci film completists only.